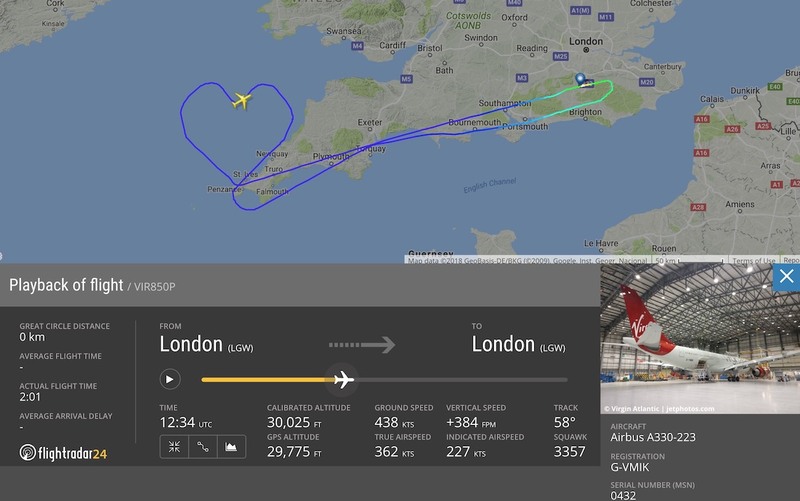 Virgin used recently delivered G-VMIK, an Airbus A330 to train some of its pilots on the A330 and to put a little love in the air. 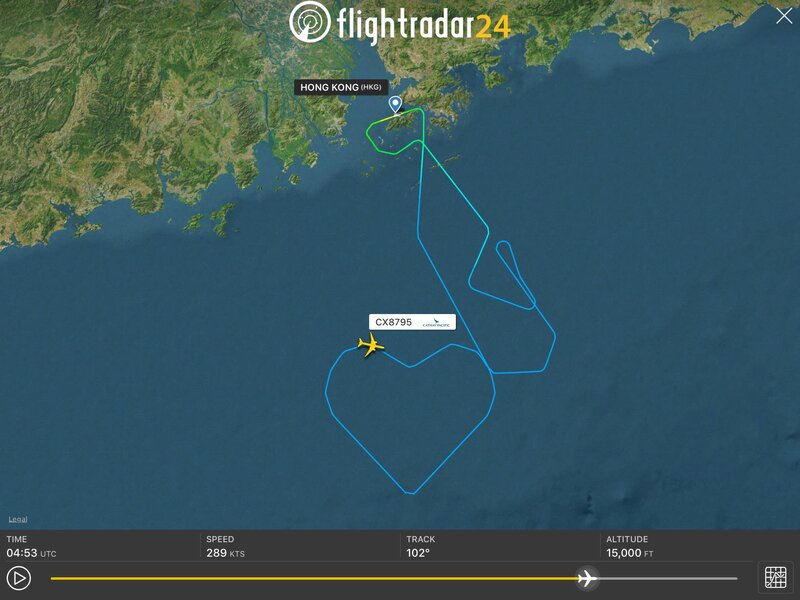 Here’s how Virgin planned and executed their heart and what the crew was doing during the flight. 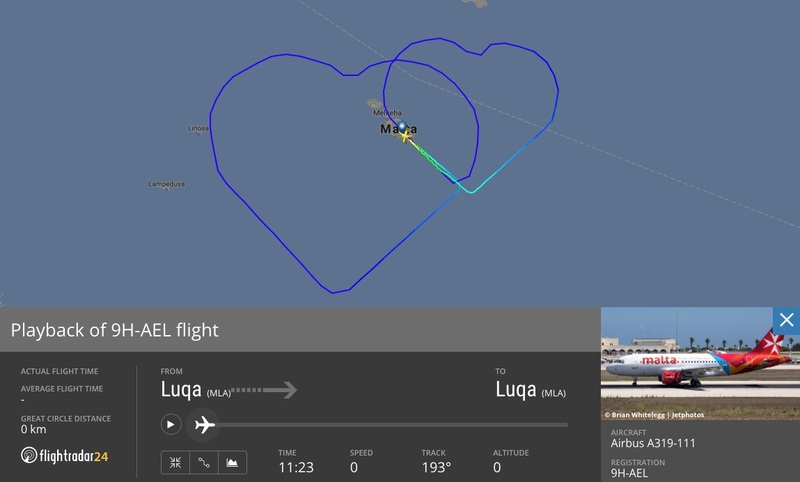 In 2015, an Air Malta flight drew two hearts above Malta to celebrate the marriage of two of the airline’s employees. On 21 May 2017, Cathay Pacific hosted its Community Day, inviting 100 children and their families on board a Boeing 777-300 for a 90 minute flight from Hong Kong. 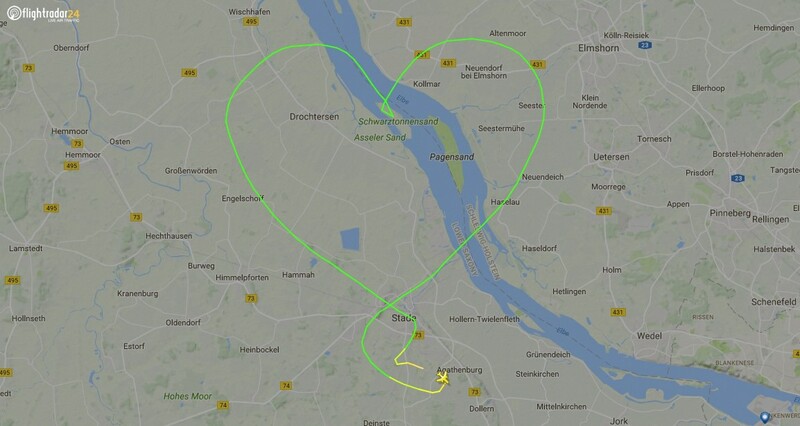 During the flight, the 777 drew a heart before landing. On 3 September 2017, Air New Zealand took 50 children with critical medical conditions such as cancer and heart disease, and their caregivers, on the flight of a lifetime over New Zealand. The nearly three hour flight took the aircraft and its passengers on a 440 km long and 483 km wide heart-shaped journey across New Zealand. While it’s not an airliner, D-EFHN deserves an honorable mention for its heart and other sky art contributions.